Post Do Not Enter Signs around high security areas of your facilityA Do Not Enter Sign is a clear way to warn trespassers or unauthorized visitors to stay away from high security or potentially dangerous areas. Post Do Not Enter Signs to protect your workers and your facility by ensuring only authorized personnel enter secured areas of your factory or worksite. Choose from a variety of options, including Do Not Enter OSHA Warning Signs, Do Not Enter Traffic Signs, as well as parking signs. All of Seton’s Do Not Enter Signs are made from durable materials to withstand anything Mother Nature, or your workers throw their way. Post Do Not Enter Signs where they can easily be seen to keep unauthorized visitors away. Unwanted visitors or those who trespass can pose a threat not only to your workers, but to your facility as a whole. Tell them to not enter high risk areas of your facility by posting a Do Not Enter Sign that clearly display your message. 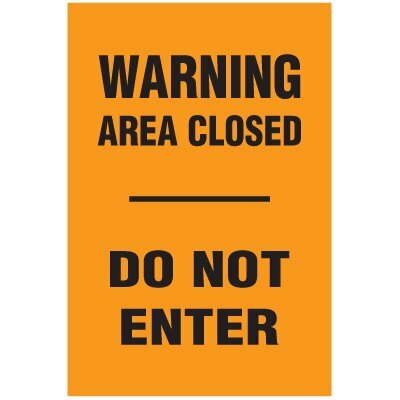 Seton offers a large selection of Do Not Enter Signs that can be placed in a variety of situations. Choose from OSHA header signs that read either “Danger Do Not Enter” or “Warning Do Not Enter” to warn of hazardous situations that carry some or a high probability of death or severe injury. Seton also offers high quality Designer Property Signs, a large offering of bilingual Do Not Enter Signs, and Do Not Enter Traffic Signs. Signs from Seton are available in a variety of sizes and materials to suit any environment or workplace. Protect your workplace and your workers from vandalism and unauthorized visitors using Do Not Enter Signs from Seton.